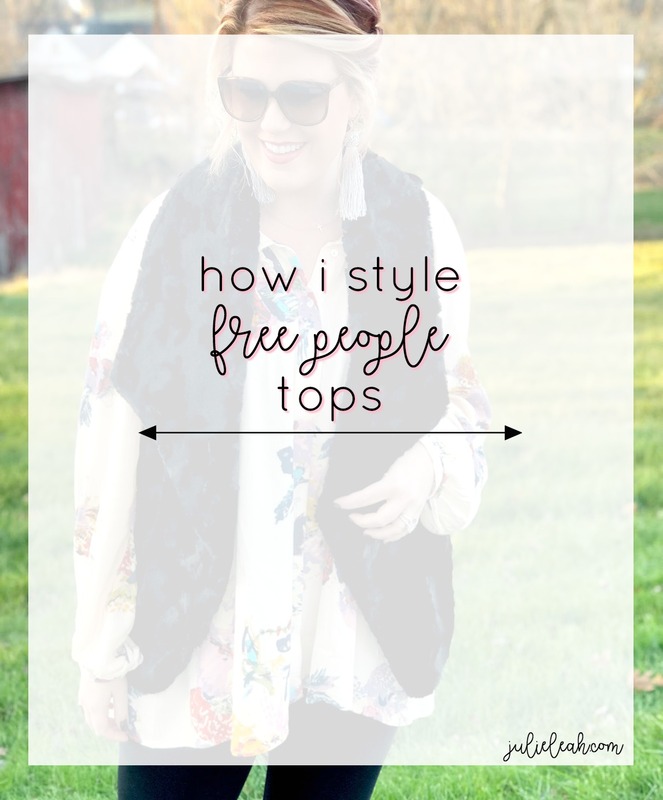 If you've been reading my blog or following on instagram for any length of time then you know that I adore Free People. 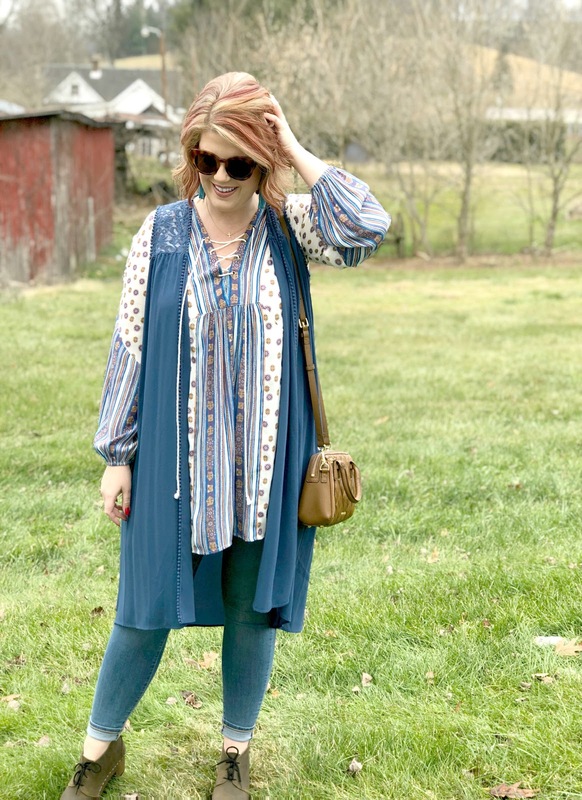 My style, overall, has morphed in the last few years into a very boho-inspired look that has a classic edge with a very boho undertone. I love a great floral print, a flowy top or dress, and statement jewelry that really packs a punch. 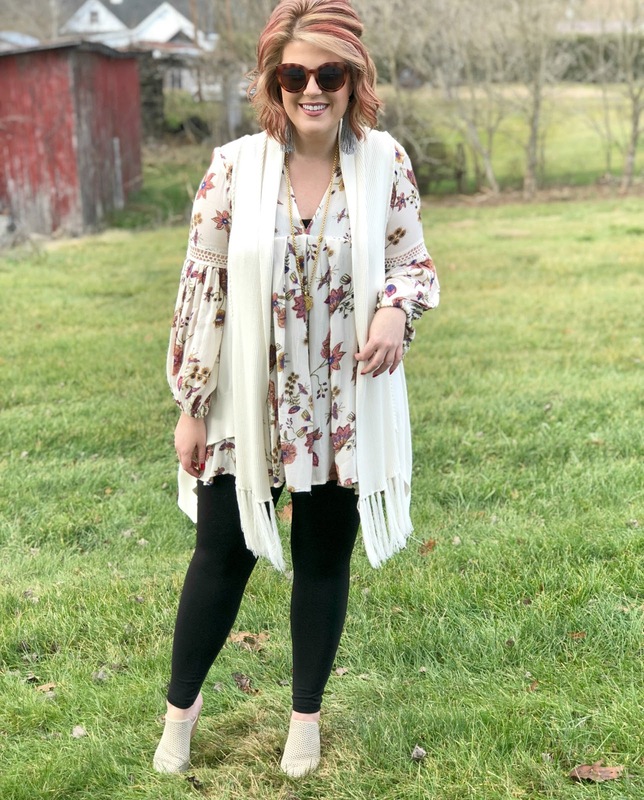 You'll also find me layering pieces, wearing booties a lot, and opting for items that offer an interesting detail to my outfit. This is a look from a couple years ago. I've worn this top/dress so many times I've lost count. I wish Free People would release it again in new colors. Here I paired it with skinny jeans and booties. But I've also worn it as a dress as you can see here! I own this top in two colors, as you'll see below. Here I wore it with black leggings and a vest that I've had in my closet forever. I've also paired it with jeans in the past. This is another item that I own in two colors. When something is good, it's good, right? Here I wore this as a dress with tights. But in all honesty, its just a tad too short for that. Regardless, it looked really cute the day I wore it, pairing it with my favorite faux fur vest and leather bag. This white thermal is my most recent FP purchase. I also own it in an army green that you'll see below. It's a great layering piece and looks great with a scarf. This is definitely a top that I can't wait to wear with white jeans in the spring. 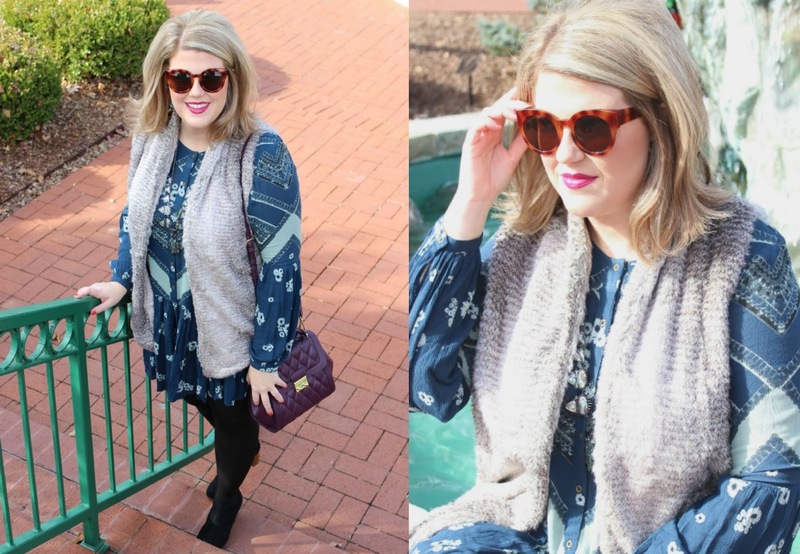 I love how it works perfectly for fall/winter just by wearing it with leggings and adding faux fur to the mix. This top is another piece that just happened to match up perfectly with pieces I already had in my closet. 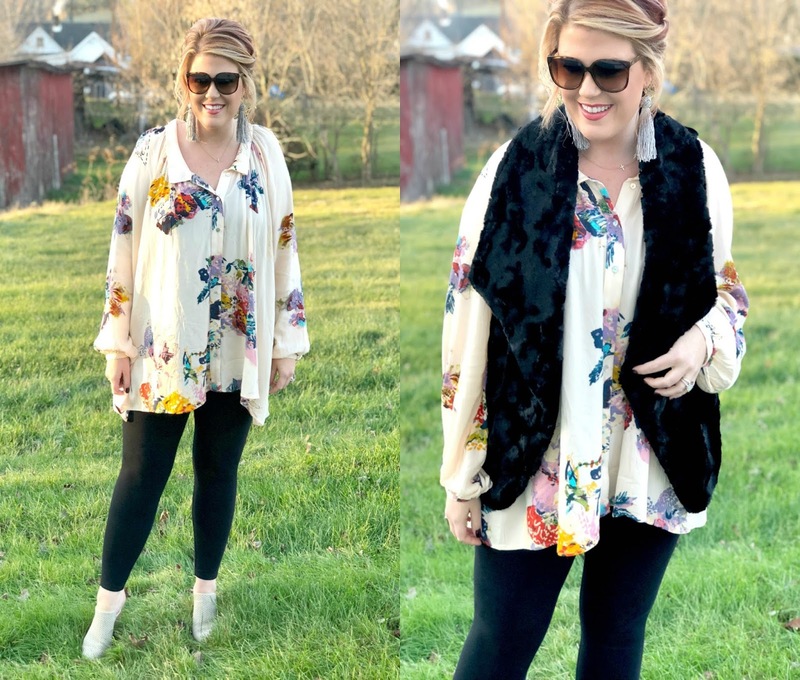 I love it with this duster vest and lace-up clog booties. This is the previous top I shared in the cream color with the cream vest. Here it is in a great rosey/mauve. I love how it changes the look of it just by adding the vest. 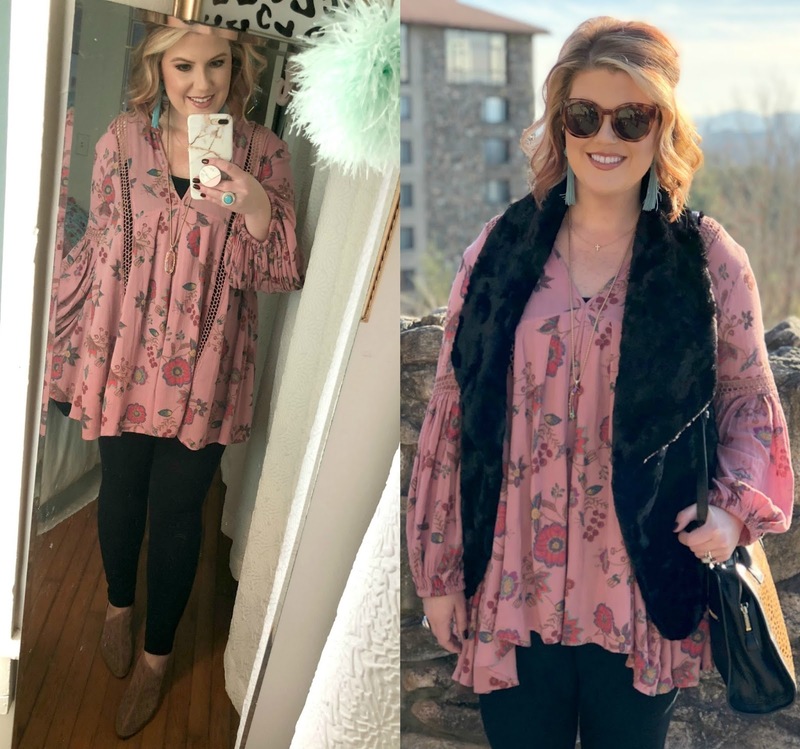 I wore this for a day in Asheville and it was so comfy. These last two looks I had to include as they're very common styles that you could see me in on any given day. The look on the left is the previous thermal that I linked in the army green color - you would be shocked how versatile this color is! And the look on the right is a FP sweater that I wear all the time. 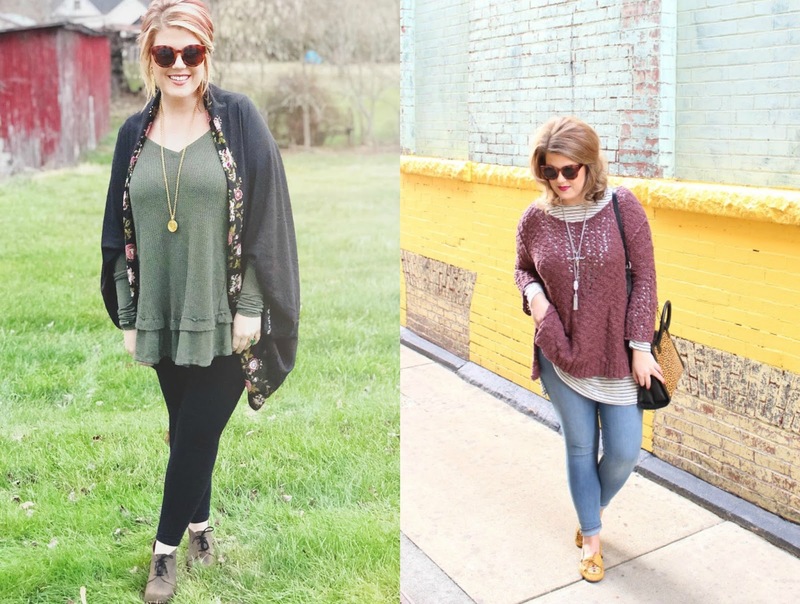 I love it layered over tunic-length long-sleeved tee shirts.